This hotel is situated in a residential area of San Antonio, 1.5 km from a sandy beach and the resort centre and 2 km from the famous Lago Martiánez. 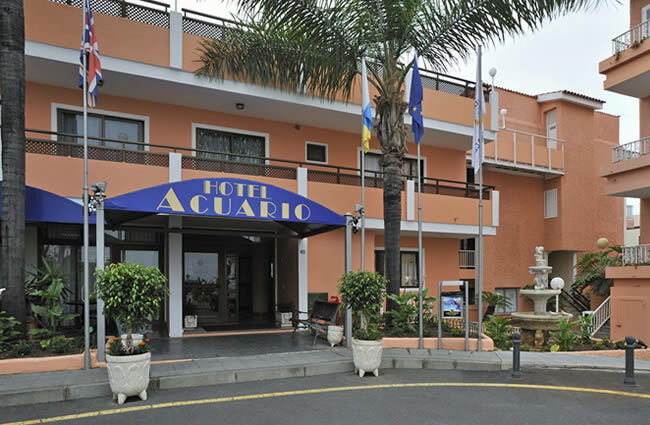 The Acuario has fantastic views of Mount Teide and Puerto de la Cruz and due to its excellent location it is particularly popular with couples and young holiday-makers who seek simple yet friendly accommodation with good levels of service. During the day, guests at the Acuario like to soak up the sun by the outdoor swimming pool and use the pool bar for light snacks and drinks. For more substantial meals, the hotel has two restaurants, which offer good international cuisine. For those guests wishing to venture outside the hotel, there is also a bus service to the resort centre. Restaurant, Bar, 24-Hour Front Desk, Non-Smoking Rooms, Elevator, Safety Deposit Box. Games Room, Table Tennis, Outdoor Swimming Pool. *Some services will be paid directly in the lodging.